The Council of Tree & Landscape Appraisers is comprised and represented by the American Nursery and Landscape Association, the American Society of Consulting Arborists, the American Society of Landscape Architects, PLANET, Association of Consulting Foresters of America, International Society of Arboriculture, and the Tree Care Industry Association. The Guide, authored by the CTLA is the U.S. industry standard in valuation of trees and landscapes; being widely accepted in the field of tree appraisals. The CTLA’s appraisal methodology: “Replacement Cost Method” was utilized in the preparation of this report. The systematic process includes factors that contribute to the value of trees such as, species, size, condition, location as well as regional plant costs, installation costs & local contractor costs. Every ecoregion in the U.S. has Regional Plant Appraisal Committees which defines and delineates factors within the appraisal process. 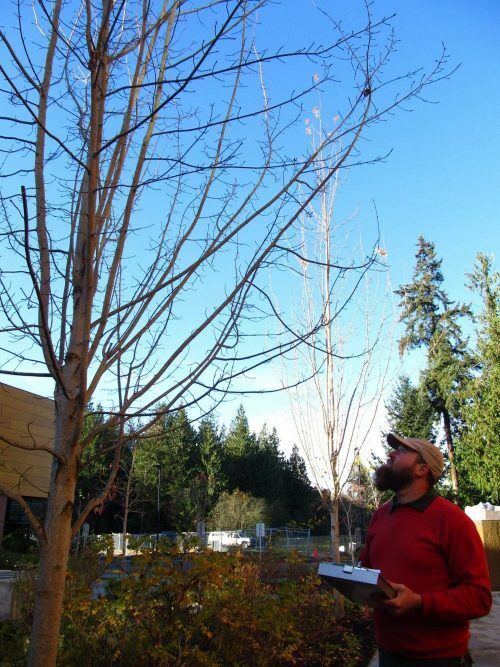 Specifically, the RPAC defines the region’s largest available tree found in nurseries. RPAC defines a Species Rating of different tree species, relative to our region. Lastly, RPAC defines the Installation Cost of new trees. Species Rating is a qualitative measure of a tree species in our region, rated from 10% to 100%. Installation cost is a monetary value concurrent with the costs of a contractor in our region installing a large tree into a landscape.